Now Ready! Spectacular New Home with full warranty in the hot Rosedale neighborhood. Sip cocktails made at your 3rd floor wet bar as you enjoy the mountain views from your private rooftop deck. This thoughtfully built new duplex is over-engineered and features solid bamboo floors, quartz counters, stainless appliances, custom designer selected tile accent walls, a spa-like 5 piece master bathroom, 3 bedrooms on the 2nd level, a private comfortable backyard, a main level bedroom/office, and so much more. 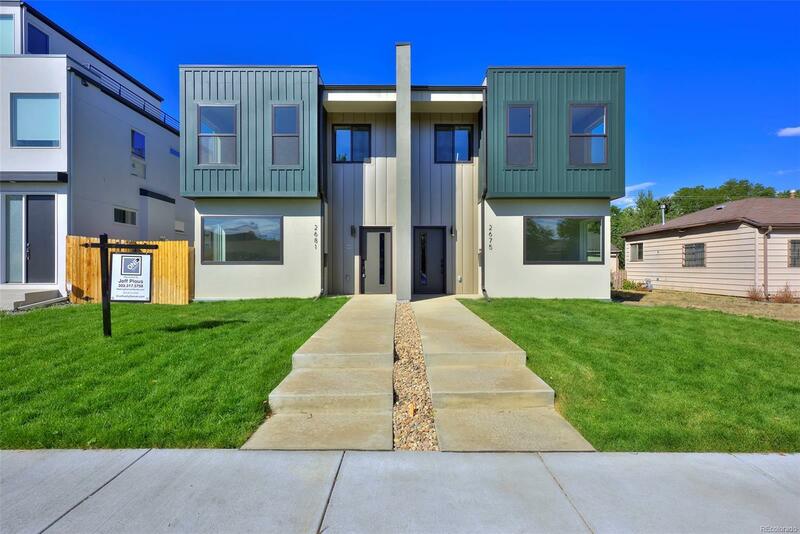 Live close to Wash Park, Platt Park, Harvard Gulch Park and all the restaurants and shops along South Broadway. The lightrail station is a 10 minute walk and the bus to downtown is only a block away. This home is in the middle of it all. The unfinished basement offers space to expand - and the builder is happy to finish it for you. This is the fantastic new home you've been looking for.